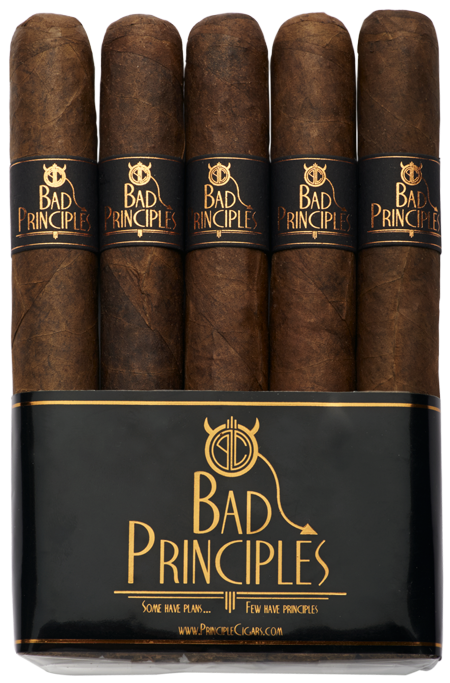 A Few Bad Principles Can't Hurt. Bad Principles are blended to be smooth and consistent. They do not become a different cigar as you smoke them. They are unwavering, like you should be in the face of adversity. They are entirely hand-made in the Dominican Republic and smoke better than far more expensive sticks. The blends are soft, balanced and relaxed.